Type your PostNL tracking number below, get live delivery information with our express tracking system. PostNL is the premier provider of postal and parcel services in the Netherlands. We work closely with national postal services and private delivery partners in order to offer customers the most comprehensive and reliable network for delivery of their mail and parcels – not just in the Netherlands but also abroad. Each day we deliver over 1.1 million items to 200 countries. In addition to our global delivery services we operate the largest mail and parcel distribution network in the Benelux (Belgium, Netherlands, Luxembourg) region. If you have problem with our express tracking system, please track your package directly on the PostNL website. If you have shipped through PostNL, you will have received a copy of your Waybill. Each waybill has a distinct number which can vary between 8 to 11 digits(eg: 79968746, 816465793). Have no idea about PostNL? 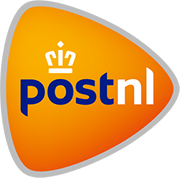 Read PostNL reviews in advance and write a review after sending your package with PostNL. Declare: We can NOT contact carrier or others on your behalf, we can only help you track your package with your PostNL tracking number on official tracking system.